In this workshop, designed for the advancing clawhammer banjo player, participants will learn some traditional old-time tunes selected to convey broader ideas concerning technique, style, and aesthetics—concepts that can be put to use well beyond this case-study repertoire. Exercises intended to promote accurate, well-timed playing will also be covered. Prerequisites: Participants should be comfortable playing in the clawhammer style—without reading from tab—in the keys of D and A, using the appropriate old-time tunings for both keys, and need to have facility with the drop-thumb technique in order to get the most out of this workshop. Bring: a fully-functional steel-strung banjo, fretted if possible, that can be tuned to standard pitch, as well as a capo (unless you tune your banjos straight up to the higher keys). All material will be taught by ear in the traditional manner, so the use of recording devices is highly recommended. It was inevitable they'd find each other. Adam Hurt won a bunch of banjo contests east of the Mississippi and then began a successful touring career and parlayed that into a reputation as a teacher of epic proportions. Megan Lynch Chowning won a whole mess of fiddle contests west of the Mississippi (and three or four on the East side for good measure), began a touring career that spanned genres and decades, and then became the kind of teacher that students travel thousands of miles to see. They have always been two sides of the same coin. Sure, Megan was a master of bluegrass and Texas style and Adam was known mostly for his innovative interpretations of old time music, but as scholars of their instruments and traditional music in general, they knew that when they met and started playing music together, the divide between their genres was smaller than their ability to bridge that gap. Adam really "gets" bluegrass and Texas style and somehow manages to make it sound completely reasonable to play those styles on the open back banjo, and Megan hears old time from the perspective of someone who knows the underlying structure of old time fiddle tunes inside and out, but yet manages to elevate even the most basic melody with her tone and musicality. Adam Hurt and Megan Lynch Chowning had heard of one another for years, mostly from their students and fans who thought they'd make a great musical match and kept saying, "wouldn't it be great if", in regards to their meeting and making music. It has finally happened and the result is as good as all those well-wishers had hoped. As their music develops and grows, it will be interesting to see not if, but how they will manifest becoming greater than the sum of their parts. 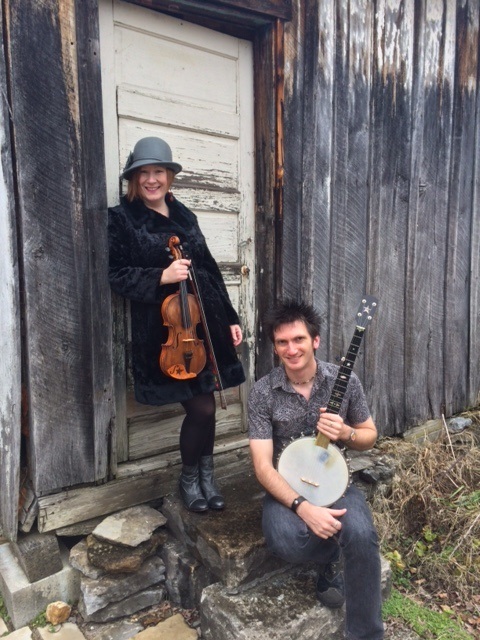 Adam Hurt and Megan Lynch Chowning are making great music together - old sounds in new songs, and new sounds in old ones. It was inevitable.